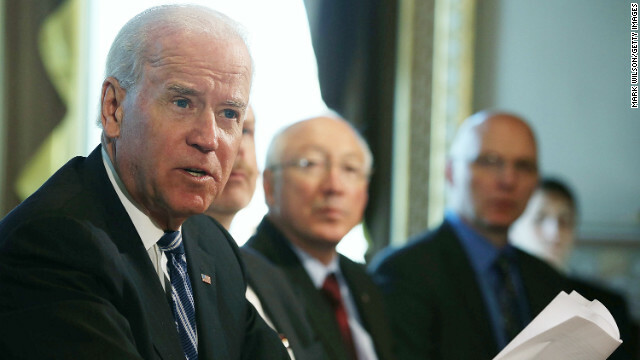 (CNN) – During a more than two-hour meeting at the White House on Monday, Vice President Joe Biden asked leaders from across the faith community to keep up pressure on lawmakers to support compromise background check legislation even as Congress begins to shift its focus to immigration reform, according to several attendees who spoke to CNN. Biden urged the roughly 20 faith leaders in attendance not to be discouraged by recent legislative failures, and instead assured them that the White House had not given up. "Even though he suffered a defeat, he didn't sound defeated," said pastor Michael McBride of the PICO National Network. "And we need that kind of hope from the bully pulpit of the White House." In the run-up to last month's Senate vote, religious organizations from across the denominational spectrum pressured members of Congress to vote for background check legislation. Without mentioning the names of any lawmakers, Biden acknowledged the effectiveness of such lobbying efforts and asked those in attendance to continue to target those whose opinions can be swayed.